A fantastic release from Tullamore Dew. This combines pot still, malt and grain whiskeys all together. These triple distilled whiskeys have been matured for 15 years in sherry butts and American oak before a finishing period in rum casks. Types of Barrel used for Aging Initially matured in a combination of Oloroso Sherry butts and American ex-Bourbon barrels before finishing in Rum barrels. 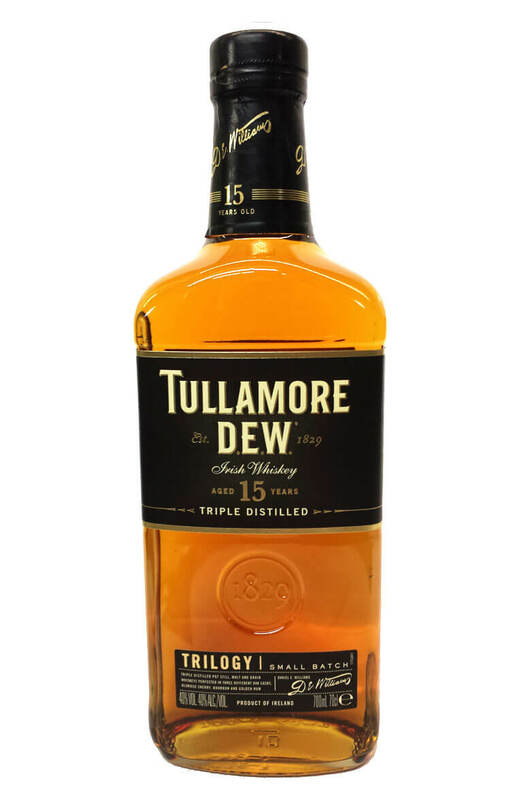 Tullamore Dew is a smooth, mellow whiskey that is a blend of Pot Still and Grain Whiskeys which are .. The whiskeys in the Tullamore Dew 12 Year Old Special Reserve have a very high concentration of pot .. This is a vatting of single malt whiskey from the Cooley distillery, which is quite different from t..